We kick off April with a special playlist with bands selected by the fantastic group Bear’s Den. This playlist will also be released on vinyl in celebration of Record Store Day 2017 on 22nd April. Our first release in 2016 featured 10 amazing bands chosen by BBC Radio 1 DJ Alice Levine. 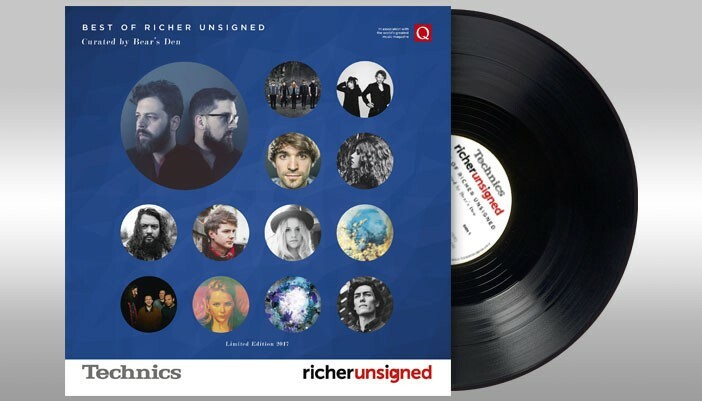 The vinyl compilation will be given out in any Richer Sounds store across the UK as well as from our pop-up stall in Berwick Street London on the 22nd April. The aim is to spread the word about the featured artists on the release. As well as this, 3 artists from the vinyl compilation have been chosen by Bear’s Den to open for them at an intimate show at St Giles In The Fields in Soho on 22nd April. Tickets are free to competition winners so keep your eyes peeled for details of competitions on the Richer Unsigned and Richer Sounds Facebook pages.